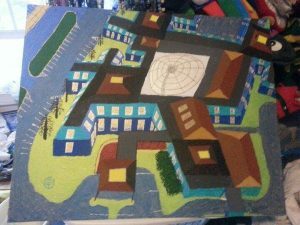 Two years ago we were back at the Northampton MA site where we started, and Raymond Taylor did this birds eye view painting of that hotel- which no longer exists except in our memories, and this painting. No matter what your medium, or whether you work in sacred space or just bliss out, we hope you’ll come and share your work this year at the art show. This entry was posted in Wednesdays You tube and tagged art, Bliss, CTCW, fibre art, Joy, painting, sculpture, show, Taylor. 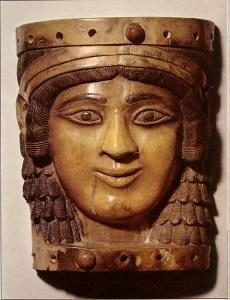 Most cultures created images to enhance their practices- from voodoo dolls and ex votos to icons and idols, sacred images, from Michaelangelo painting the Systine Chapel to Inuit carving fetishes, people have used images to create tangible links to the intangible world. We will examine historical practices and modern pagan adaptations and innovations. This entry was posted in Saturdays Classes and tagged art, ex voto, icon, idols, Magick, painting, religion, sacred images, Tchipakkan, voodoo.